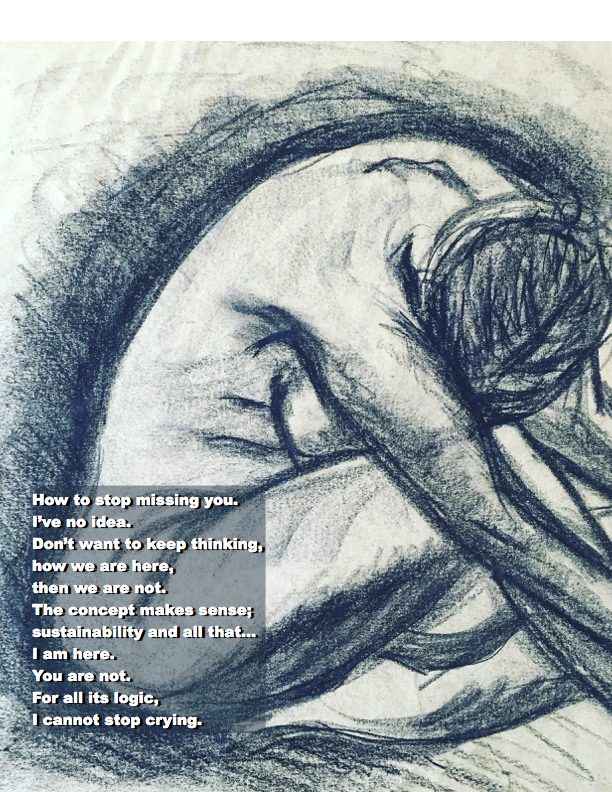 This entry was posted in My Art & Writing and tagged art, death, depression, earth, figure drawing, heartbreak, Heaven, life, loss, poetry, relationships, sadness, sustainability, thoughts, writing. Bookmark the permalink. I love it AnnMarie! Good news I did get discharged of all my student loans so I owe nothing now due to my disability. My blood sugars are great. I am writing a little and relaxing watching tv. I hope to get back writing full time one day but small goals right now. Thanks AnnMarie I am feeling a lot better today.